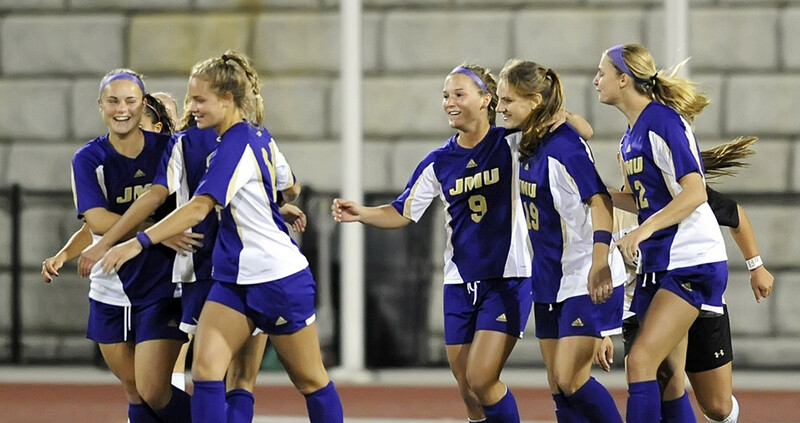 Join the James Madison University Women’s Soccer Camp on October 15. It is a 1-day event that will take place at the Sentara Park on James Madison University campus. It is open to girls who are in the 9th grade and up. This is an excellent opportunity to showcase soccer skills in front of the university coaching staff. There will be competitive small-sided and 11v11 matches. In addition, this soccer clinic focuses on improving both the technical and tactical capabilities of the participants. There are only 80 slots available. Thus, registration is on a first come first serve basis. The program starts at 10:30 AM and ends at 4:30 PM. James Madison University is a public, coeducational university in Harrisonburg, Virginia. Its former name is Madison College. It is offering 133 degree programs including 77 undergraduate and 46 master’s degrees. The university has an accreditation from the Southern Association of Colleges and Schools. Furthermore, James Madison University is 7th in Regional Universities South, 2018 edition of Best Colleges rankings. It is also 55th in the Best Value Schools rankings. Currently, its undergraduate student population is around 19,200. The student to faculty ratio is 16:1 while the acceptance rate is 72 percent. James Madison University fields 17 intercollegiate sports teams. They are participating in the Colonial Athletic Association of NCAA Division I. They call themselves the Dukes. Purple and gold are their identity colors. David Lombardo is the head coach of James Madison University women’s soccer team since its inception. He is entering his 28th season leading the university women’s soccer program. He is the 7th winningest among the Division I active coaches. Under Coach Lombardo’s leadership, the Dukes women’s soccer has already CAA Tournament Titles. Moreover, Coach Lombardo is a 3-time CAA Coach of the Year awardee. Then, the team’s assistant coaches are Scott Gerseny and Haley Miller. Coach Gerseny is at the same time the team’s recruiting coordinator. Jon McClure is the team’s volunteer assistant coach. Finally, Leah Schoen is the women’s soccer athletic trainer. Join the James Madison University Women's Soccer Camp. It is an opportunity to showcase soccer skills in front of the university coaching staff.